Minh-Ngoc’s main research interests lie in Bayesian methodology and statistical machine learning. He specialises in fast Variational Bayes and simulation-based methods, such as importance sampling and sequential Monte Carlo, for estimating complex models with Big Data, and in Lasso-type variable selection methods. His current research is focused on developing efficient methods for estimating statistical models with an intractable likelihood, of which Big Data problems and Approximate Bayesian Computation are special cases. 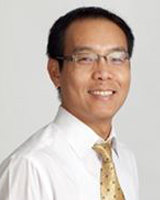 Minh Ngoc received a PhD in Statistics from the National University of Singapore, a Master and a Bachelor in Mathematics from the Vietnam National University, Hanoi. Before joining the University of Sydney, he worked as a postdoctoral fellow at the University of New South Wales. He is an Associate Investigator in the ARC’s Centre of Excellence for Mathematical and Statistical Frontiers (ACEMS). Tran M, Nguyen N, Nott D, and Kohn R (2019) Bayesian Deep Net GLM and GLMM Journal of Computational and Graphical Statistics, Forthcoming. Tran M, Nott D, and Kohn R (2015) Variational Bayes with Intractable Likelihood 5th Vietnam National Congress in Probability and Statistics; Vietnam Institute for Advanced Study in Mathematics, Da Nang, Vietnam. Tran M (2013) Adaptive Metropolis-Hastings sampling using reversible dependent mixture proposals 8th Vietnamese Mathematical Conference; Vietnam Institute for Advanced Study in Mathematics, Nha Trang, Vietnam. Flexible models and methods for cognitive model-based decision-making; ARC Discovery Project. Data Analysis for intractable models with applications to big data and psychology; Business School Pilot Research Scheme.